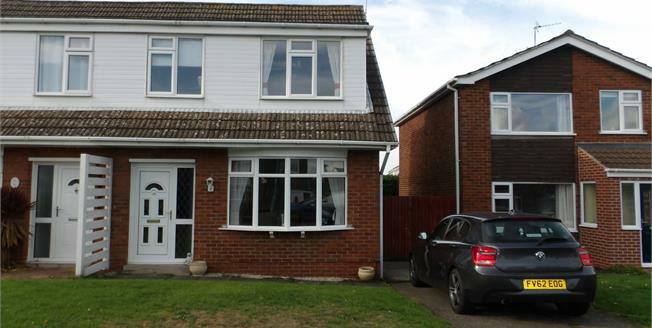 A well presented three bedroom semi-detached property with off road parking and garage, situated in a convenient location close to a variety of local amenities and great access to the motorway. Internally the property consists of a lounge, modern kitchen and separate dining room. On the first floor there are three bedrooms, two of which are doubles and a further single bedroom. The master also has fitted wardrobes. The family bathroom is also located on this level. Outside the boasts a front and back garden. The rear garden is mostly laid to lawn with a patio area. To the side driveway and garage. Please call now to arrange a viewing and avoid disappointment. Large light and bright lounge. Window to the front elevation. This is a versatile space currently being used as separate dining room. Patio doors leading into the garden. Modern kitchen with fitted wall and base units. Window over looking the garden. Window to the front elevation. Fitted wardrobes. Natural tiles with complimentary flooring. Three piece suite. Shower over bath, wash basin and WC.